A Host Of Names That Won't Cut The Mustard With Neil Warnock | The Transfer Tavern | Where football transfer rumours fly or die! As players now begin to hit the ground running in a pre-season sense, Leeds United have a vast list of players that Neil Warnock is keen to move on. Midfielder Adam Clayton has already departed for Huddersfield Town, with many more subject to the ‘chop’. It’s never a loveless affair between fans and players when the latter signs for another team. 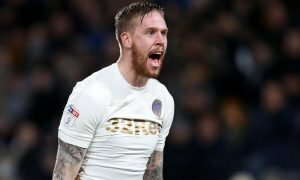 Like seeing an ex on somebody else’s arm, it’s always strange, adjusting to see any Leeds player pull on a different shirt. However, the current crop of talent at Elland Road, poses some quite poor footballing prowess. Show me a list of – Billy Paynter, Paul Rachubka, Danny Pugh and Paul Connolly back in 2001 and I would have asked what they had to do with Leeds United. Unfortunately, at the moment they have a lot to do with the beloved Leeds United. Firstly, Billy Paynter. A fan’s favourite for all the wrong reasons. ‘If Billy scores we’re in the sea’ was the song choice whilst away at Blackpool last season. Suggests to those whom are ‘not in the know’ that Billy’s track record for goals, is akin to that of Richard Key’s love for feminism (non-existent). Getting Billy Paynter off the wage bill to a middle road League One side will be a step closer to a serious charge for Championship glory next season. Paul Connolly, is another name that has overstayed his unexpected Elland Road welcome. Showing no real signs of consistency, the ex Derby man suits their level of play. He’s a mediocre player who can sometimes muster a good performance, but worthy of the football in the Yorkshire Rose? Definitely not if progress is to be made on the pitch. Paul Rachukba can go down in history as one of the most hated goalkeepers in the club’s history. Like a comedian without jokes, Paul Rachubka was heckled off at half time last season, after embarrassingly gifting Blackpool a 3-0 lead at Elland Road. Having spent the latter stages of the 2011-2012 campaign on loan in League One, the former Manchester United trainee is hopefully set for a permanent stay lower down the divisions. 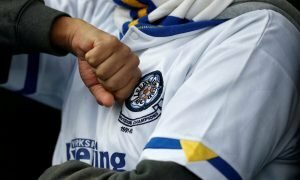 Their is a list full of players that aren’t good enough for Leeds United, but Neil Warnock must look to gain some income from their sales, so having the likes of Danny Pugh, Leigh Bromby, Ramon Nunez and Robbie Rogers around as squad players for now is substantial, with Neil Warnock still fitting back the pieces together of a rather large puzzle. Two players that I do not want to go, are constantly linked with others at the moment. These are of course, Robert Snodgrass and Ross McCormack. The two stand out players last season might only be on the fringes of the Scotland squad, but in our current plight, they are incredibly valuable commodities. With ‘Snoddy’ under the watchful eye of long term admirer Paul Lambert, Leeds United should not sell, let’s break this trend of selling our stars and look at stealing the ‘stars’ instead.